Mantras are simple phrases used to reinforce positive mental habits, center yourself with friendly reminders, or bring attention to the values or principles that are most important to you. Some examples of mantras are: Simplify, Choose love, or Stop all postponement. Your daily mantra will appear at the center of your dashboard, in place of the default greetings (e.g. “Good morning, Jen”) and changes at 4am local time, just like your photos and quotes. 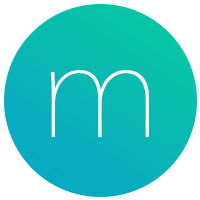 Momentum Plus members have the ability to add their own custom mantras, skip mantras, pin mantras, and adjust how often mantras display on their dashboard. How to add custom mantras. How to change your active mantra. How to skip a mantra. How to switch between Momentum's mantra feed and your custom mantra feed. How to pin and unpin your active mantra. How to change how often mantras appear on your dashboard. How to edit and delete mantras. The mantras feature can easily be turned on or off in your Mantras settings. If you turn Mantras off, you'll just see the default greetings (e.g. “Good morning, Jeff”). Click Mantras on the left of side of your settings menu. Click the Enable Mantras button. To disable, click Settings at the top right corner of this menu and then click the switch next to Enable Mantras. To add your own mantras to the dashboard, click the + Add Mantra button in the Mantras section of your settings, type in your mantra and then hit ⏎ enter/return on your keyboard. Click the + Add Mantra button. If you're stuck adding mantras and need some inspiration, click Suggestions underneath the 'Mantra' field. Type in your mantra and then hit the ⏎ enter/return key on your keyboard. Your mantra will automatically change to a different one at 4am local time each day. If you want to set a specific mantra, visit the Mantras settings and select one of your custom or favorite mantras. Click Mantras on the left of side of your settings menu, and then select either the My Mantras or Favorites section. Hover your mouse over the mantra you want to set, and double click it. If you want it to display for the entire day, click the Pin icon to the right of it. Skipping a mantra will replace it with a new one. You can skip up to five mantras per day. To skip a mantra, hover your mouse over it, click the ... that appears to the right and then click the Skip option. Hover your mouse over the mantra. Click the ... that appears to the right. Momentum's mantra feed is selected by default. If you only want to see the custom mantras that you've added, adjust the mantra feed settings so the Momentum Mantras feed is turned off and the My Mantras feed is turned on. Click Settings at the top right corner. Scroll down to the Feeds section and adjust the feed settings, by clicking the switches next to Momentum Mantras or My Mantras options. • If the dot is on the right that feed is on, if the dot is on the left that feed is off. If you only want to see your custom mantras, the switch next to Momentum Mantras should be on the left and the switch next to My Mantras should be on the right. If you don't pin your mantra, it will mix in with your default greetings (e.g. “Good morning, Jeff”). To pin your active mantra for the whole day, click the ... that appears when you hover your mouse over the mantra and then select the Pin option. To unpin a mantra, click the ... again and click the Unpin option. Hover your mouse over the mantra, and click ... that appears to the right of it. Click the Pin (for today) option. To unpin, click ... again and click Unpin. To pin a non-active mantra, visit your Mantras settings, hover your mouse over the mantra you want to pin and click the Pin icon that appear to the right.. The Frequency setting changes how often mantras appear instead of the default greetings (e.g "Good morning, Jen"). Choosing the Always option will make it so you only see mantras, while the Rarely option will make it so you primarily see the default greetings with the occasional mantra sprinkled in. Click Mantras on the left of side of your settings menu, and then select Settings at the top right corner. Click on your preferred frequency option: Rarely, Sometimes, Often or Always. If you mistyped a custom mantra or you just aren't feeling one of the mantras you've added, you can edit or delete it in your Mantras settings. When you hover over a mantra in the Mantras settings a pencil/edit icon will appear to the right of it, clicking it will let you edit that mantra. Click Mantras on the left of side of your settings menu, and then select the My Mantras section. Hover your mouse over the mantra you want to edit, and then click the pencil/edit icon that appears to the right of it. Make your changes in the edit box, and then hit the ⏎ enter/return key on your keyboard. When you hover over a mantra in the Mantras settings a trash can icon will appear to the right of it, clicking it will give you the option to delete it. Hover your mouse over the mantra you want to delete, and then click the Trash can icon that appears to the right of it. Click the ✓ next to Delete? to confirm the deletion. Momentum mantras cannot be deleted. If you don't like a particular Momentum mantra, hover your mouse over it, click the ... that appears to the right, and then choose the Skip or Don't show again option. If you really don't like a particular Momentum mantra, selecting the Don't show again option will remove it from your dashboard and prevent you from seeing it again. Click the Don't show again option.